The Donovan Double-Flip opens and closes from the ground level in under 10 seconds. 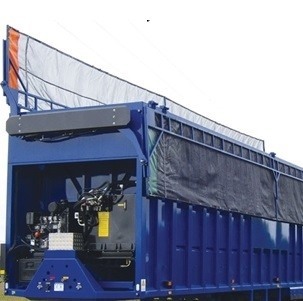 It’s simple to operate, easy to maintain and very affordable. 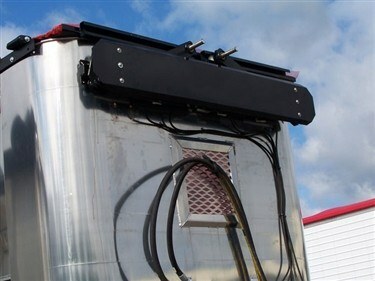 Designed to cover open-top transfer trailers up to 102″ wide X 53′ Long, with a hydraulic powered actuator that operates off the trailer’s hydraulics or the easy to install self-contained electric over hydraulic pump. 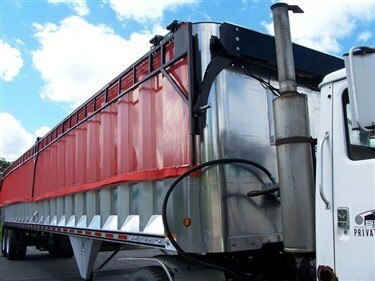 The Lids rest flush on trailer sides when opened, allowing loading in narrow spaces. Lids overlap when closed to properly seal the load and eliminate blowout. A 2-spool control valve allows independent operation of each lid. 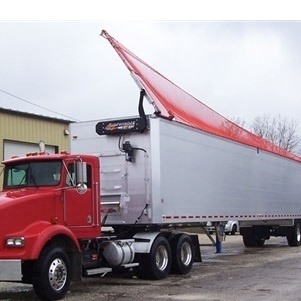 The Double Flip’s 3-arm design provides the proper combination of strength and flexibility to cover and contain uneven loads. 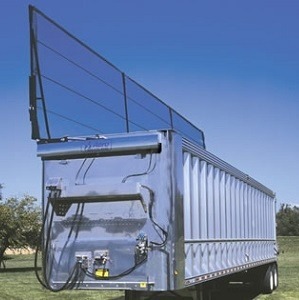 The Double-Flip’s preassembled head assembly mounts to any style front trailer wall. 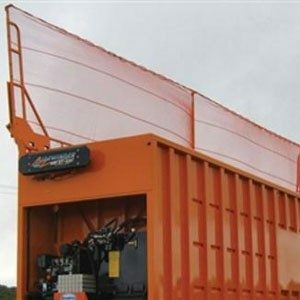 Its heavy-duty linkage and self-lubricating hinges ensure durability and reduces air flow under the tarp and protects the head assembly from debris and the operator from moving parts. 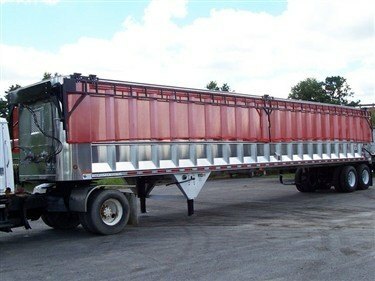 The kit includes valves, hoses, tarp, frame and other components; some additional hardware may be needed. Approximate shipping weight: 1,200 lbs.